Get gorgeous in this trendy, oxblood layered top. 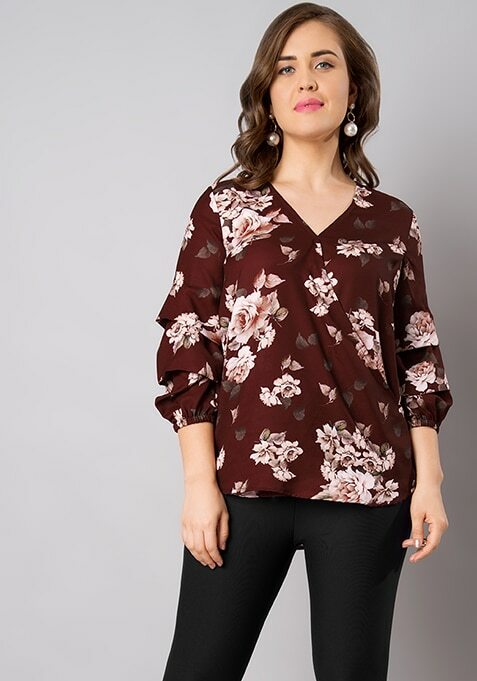 Made from georgette, this top features floral print all over. Work it: Style this beautiful top with skinny jeans or jeggings to look smart.